The medium to late ripening vine is due to the thick, hard-shelled skins extremely resistant to Botrytis, It produces aromatic white wines with high alcohol and acid content and aging potential. 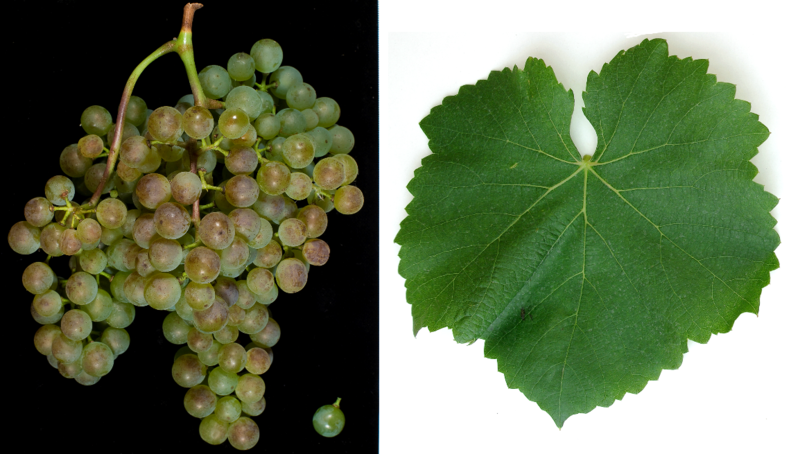 The variety is main ingredient of the white wines of Jurançon and Pacherenc du Vic-Bilh, is also in many other areas in Southwest France admitted and will also be in Languedoc grown. The acreage in France in 2010 totaled 1,063 hectares. Among the above names is Petit Manseng in northern Spain Basque country (País Vasco) in the two areas Chacolí de Alava and Chacolí de Vizcaya authorized. Other smaller stocks are also available in the US states Georgia. South Carolina and Virginia (total 20 ha), as well as in Argentina (7 ha), Uruguay. Australia. New Zealand and Japan, The variety had a total of 1,110 hectares in 2010 with a strong upward trend (ten years earlier it was only 613 hectares). This page was last modified at 18 December 2018 at 13:08.